At Kraemer Middle School (upon joining CPRunners), Sarah broke the school records in four events: the 1600, 3000, 3200, and 5k. In Sarah's first year at Valencia High School she lettered varsity in cross country and track. 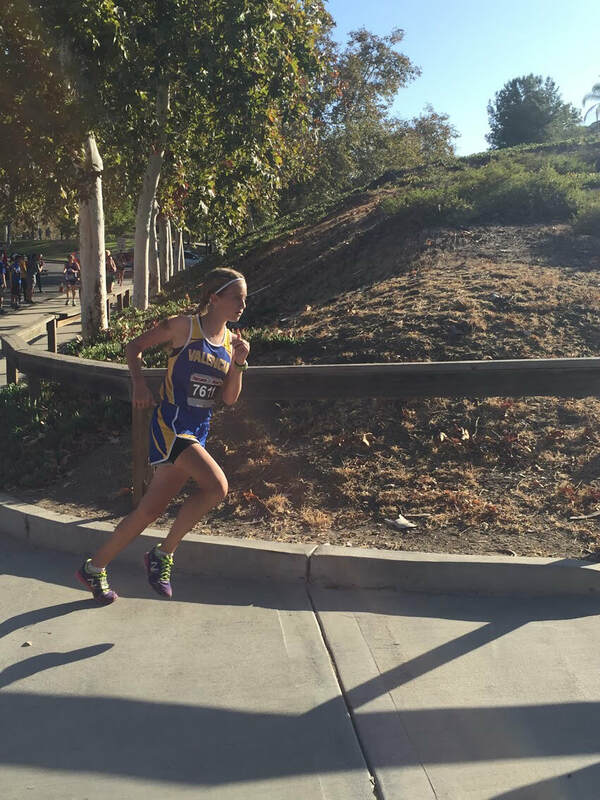 In the cross-country season, Sarah won the Frosh/Soph Empire League race and for track she was Frosh/Soph distance MVP. She will be a sophomore in the 2017/2018 school year. After moving from CPRunners to high school cross country and track, Sarah still wanted to volunteer at CPRunners because of the long-lasting effects the team had on her. She enjoys helping the kids as much as she can, and believes running is not only about the sport, but the team environment and having fun with friends. Sarah hopes to encourage and support other runners as they improve and their love of the sport grows. By sharing her experiences, she hopes to help motivate other runners to accomplish their goals in every distance.